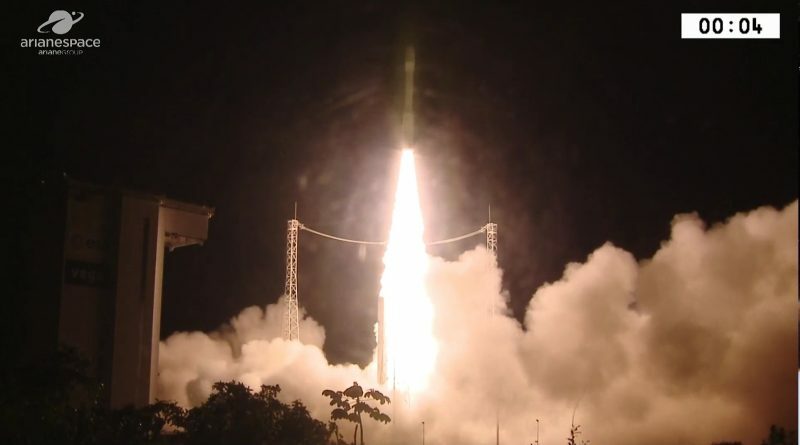 The tenth Vega rocket blasted off from French Guiana Tuesday night, lighting up the edge of the Amazon before swinging to the north to dispatch a pair of Israeli-built satellites into two different orbits via a complex multi-burn mission by the launcher’s upper stage. 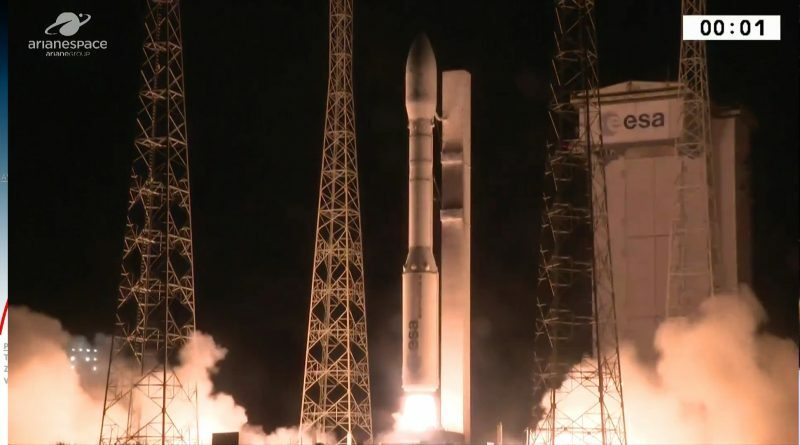 Europe’s Vega rocket lifted off from the ZLV Launch Site at the Guiana Space Center at 1:58:33 UTC on August 2, 2017 – heading off on a multi-orbit mission with a pair of Israeli-built satellites. 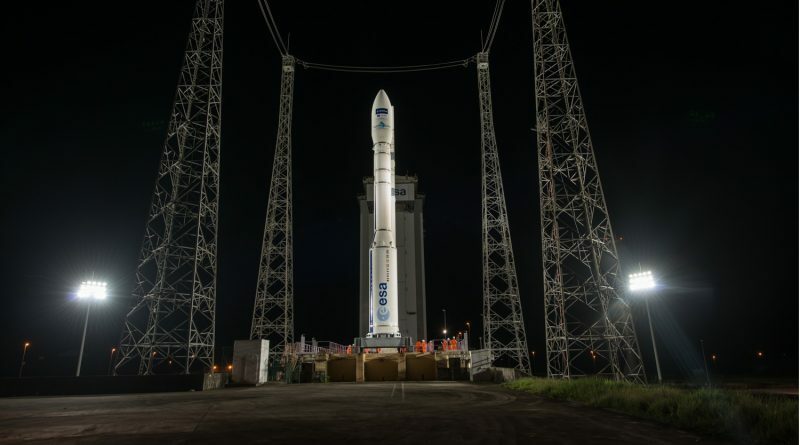 Europe’s Vega rocket stands ready for a nighttime liftoff from the edge of the Amazon jungle Tuesday night carrying a pair of satellites built in Israel for operation by the Italian defence ministry and a French-Israeli cooperation.